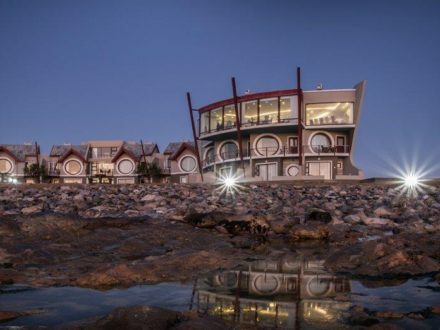 The Swakopmund Hotel and Entertainment Centre is situated in the beautiful town of Swakopmund. 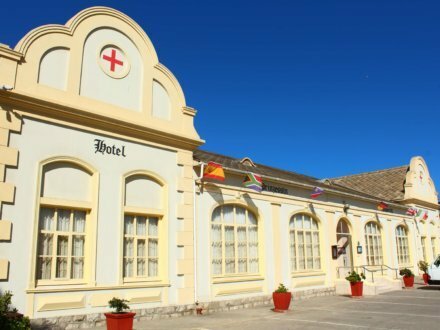 This hotel was once the Swakopmund Station Building, which was completed in 1901 and declared a National Monument in 1972. 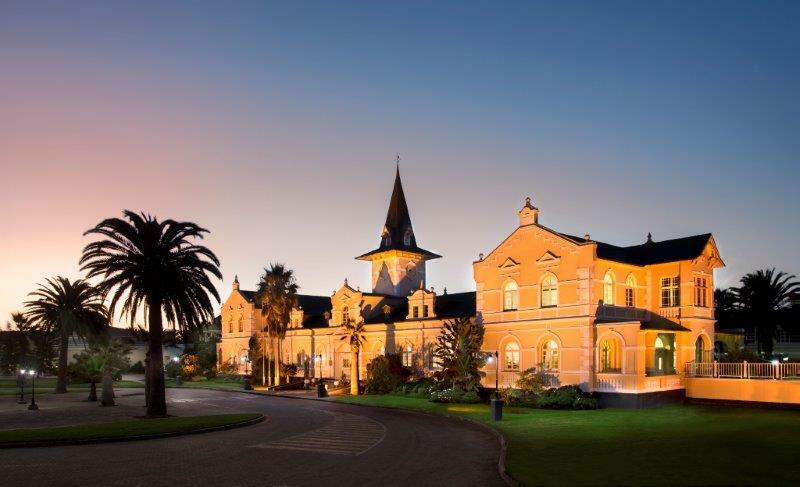 The building was renovated and came to life again in 1994 as a hotel with a sense of history. 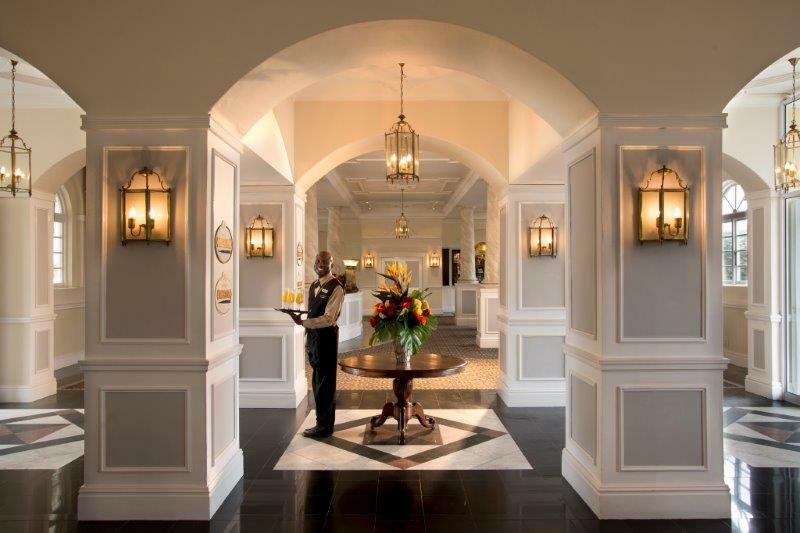 This luxury hotel has 88 spacious rooms and two stylish Presidential Suites. Most of the hotel’s rooms and the suites overlook the garden courtyard and swimming pool. 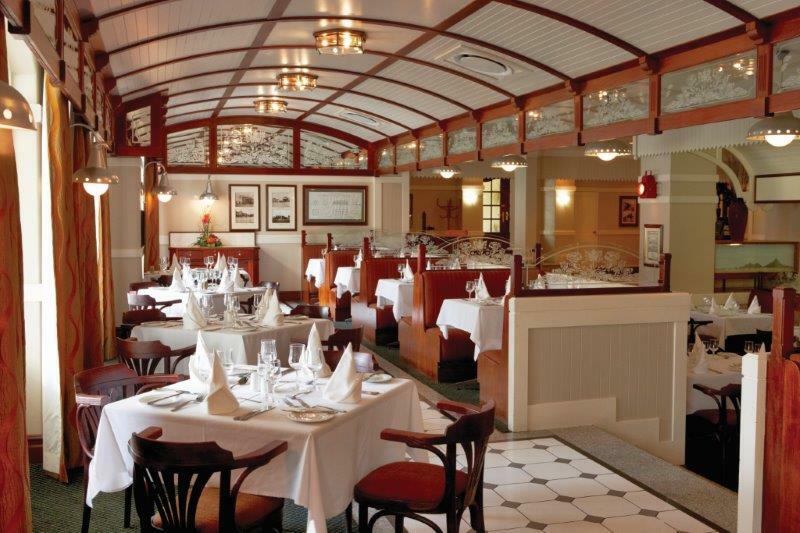 Guests can dine at the elegant Platform One Restaurant which offers a wonderful selection of à-la-carte dishes, a speciality buffet and an extensive wine list. 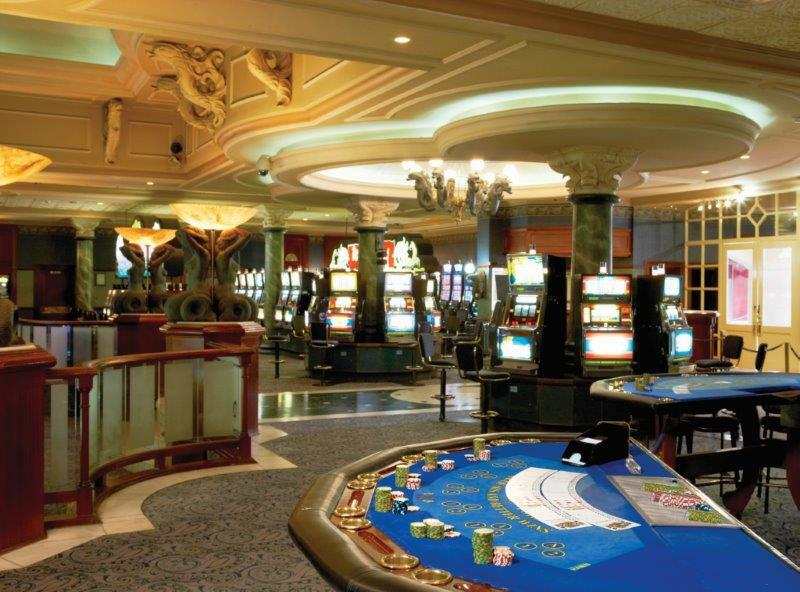 The hotel also houses the Mermaid Casino with state of-the-art slot machines and poker, blackjack and roulette tables, a gym, florist, spa and hair salon, car rental and two cinemas. 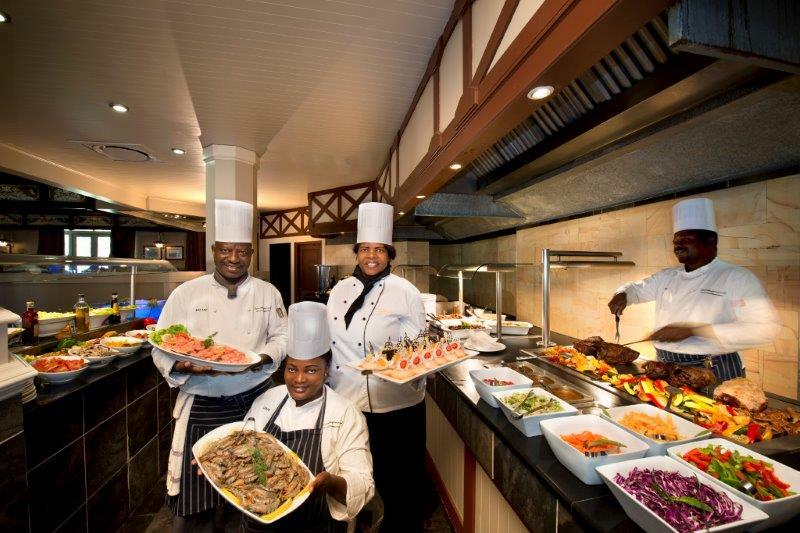 The Spitzkoppe Conference Centre can accommodate any function – from a conference to a banquet for up to 350 people. 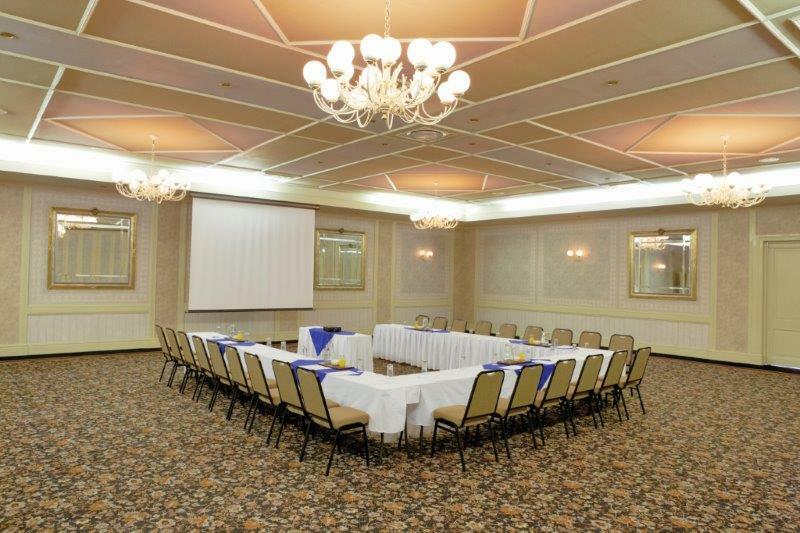 It’s the ideal venue for conferences, incentives, weddings and specialty functions. 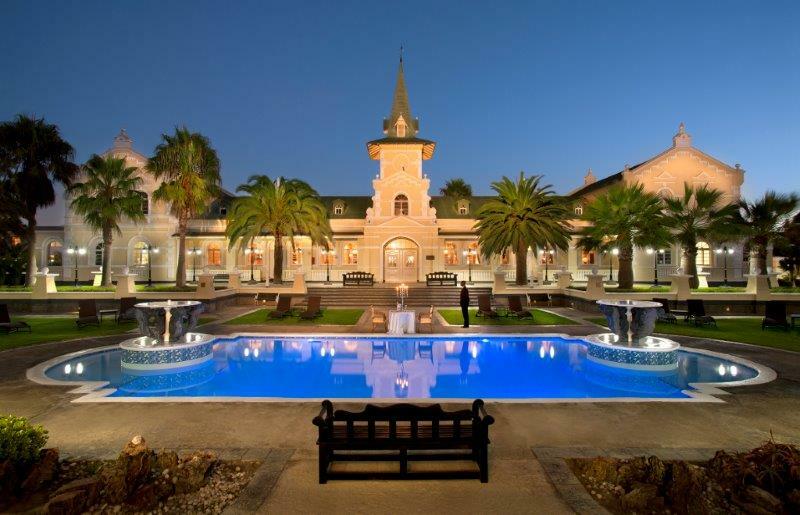 N$1,325.00 per person sharing per night. Single supplement N$525.00 per night. 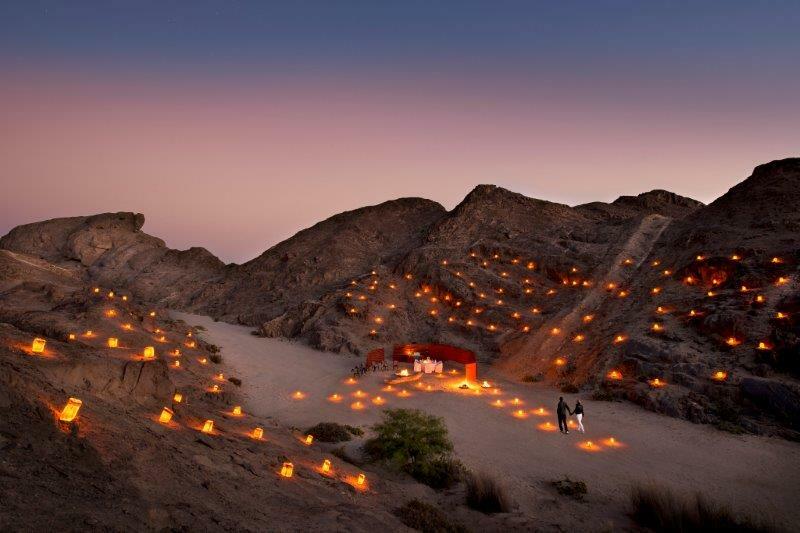 N$1,250.00 per person sharing per night. Single supplement N$500.00 per night. 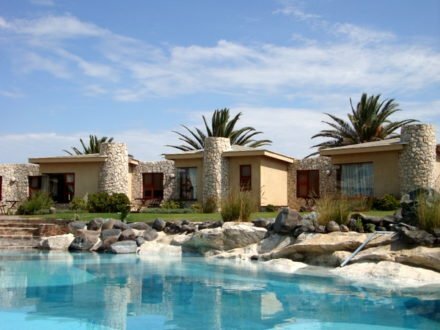 N$1,090.00 per person sharing per night. Single supplement N$450.00 per night. 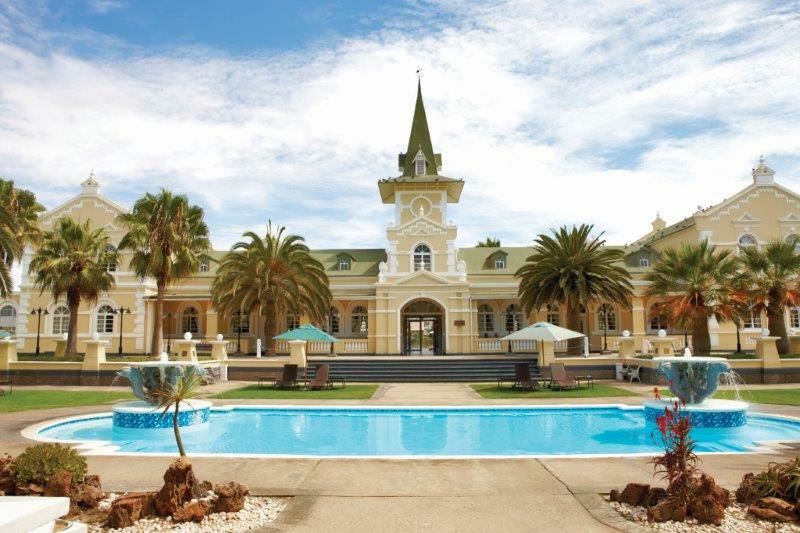 N$935.00 per person sharing per night. Single supplement N$385.00 per night. 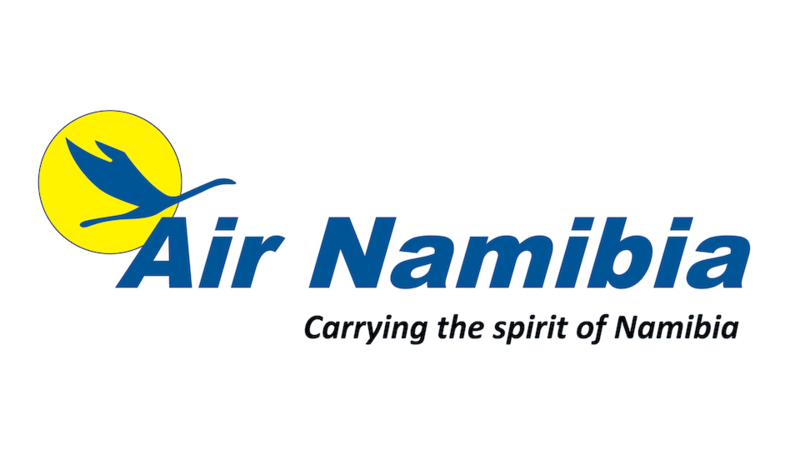 1) Rates quoted in Namibian Dollars are inclusive of VAT @ 15%. 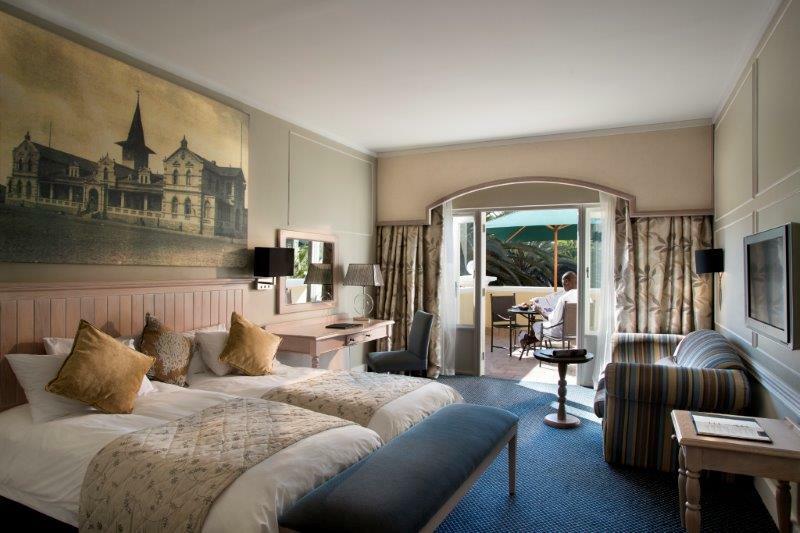 2) The special rates include accommodation and breakfast. 3) All the special rates exclude 2% Tourism Levy. 4) All rates in this are on a per person sharing per day basis (unless otherwise indicated) and are nett and non-commissionable. 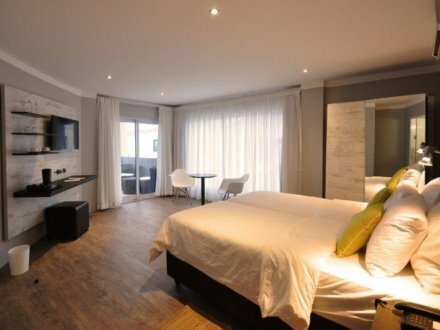 5) Rooms will be kept until 18h00 on day of arrival unless otherwise assured or guaranteed. 6) Full pre-payment of the accommodation amount is required in order to secure your booking. 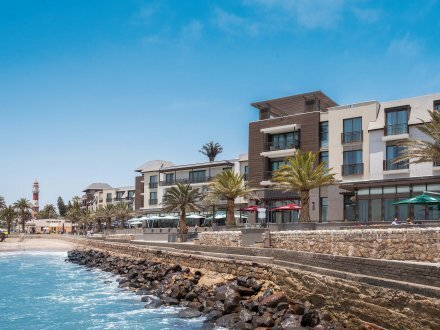 1) Cancellations – for two or less rooms – within 48 hours prior to arrival will be subject to a full cancellation fee of the value of the accommodation booked. 2) Cancellations – for three to nine rooms – within seven days prior to arrival will be subject to a full cancellation fee of the value of the accommodation booked. 3) Cancellations – ten rooms or more – tour cancellation policy in 1 above will apply. 4) Guaranteed reservations i.e. in respect of which full payment has been received, will be held for first night only, after which the accommodation will be released if not taken up by then. 1) Children aged 12 years and younger (maximum two children per room) will be accommodated free of charge on a Bed Only basis if sharing with one or two adults, but will be charged for breakfast. Children occupying their own rooms will be charged the full adult rate. 2) Subject to availability of family rooms. 3) Breakfast charge; children aged 0-2, no charge. Children aged 3-12, 50% of the applicable rate per meal per day. This policy does not apply to room service meals.